Anguilla Day is celebrated on May 30th annually. It is the recognition and celebration of our independence from the associated statehood of St. Kitts, Nevis Anguilla in 1967. Anguillians were dissatisfied with associated statehood as they were being treated unfairly by St. Kitts. Anguillians came together and on May 30th 1967, Anguillians marched to Police Headquarters and evicted the St. Kitts police, thus making it clear that they desired to be disassociated from the union. Anguillians then functioned independently outside of the union. However, it was not until December 19th 1980 that Anguilla’s independence from the statehood was fully recognized. May 30th is celebrated as Anguilla Day because this was the day that started the revolution which led to independence from the associated statehood. Anguilla today is a British Overseas Territory (BOT). The month of May is jam packed with activities for Anguilla Day. In fact, a schedule of activities is published annually by the Ministry of Home Affairs so ensure you get your copy so that you won’t miss out on any of the fun activities. 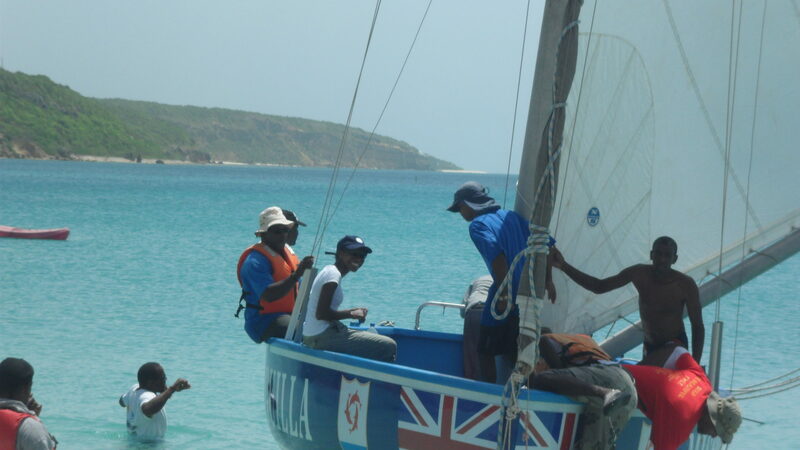 Activities during the month of May include the Anguilla Day Primary School Quiz, the Valley Street Fair, Anguilla Day Choir Fest, Sport events including dominoes competitions, netball and basketball competitions and track and field activities and of course our national sport boat racing. An added bonus is that the Anguilla Literary Festival is also held in the month of May so why not visit Anguilla for the Lit Fest and stay on for the Anguilla Day festivities. What happens on Anguilla Day (May 30th)? This day is a public holiday on Anguilla and its arrival is highly anticipated by many Anguillians. The celebrations begin at the Ronald Webster Park where there is an official parade led by the Commissioner of Police. Most uniformed bodies including Girls and Boys Brigade, guides, scouts, brownies, pathfinders, prison officers and police participate in this parade. 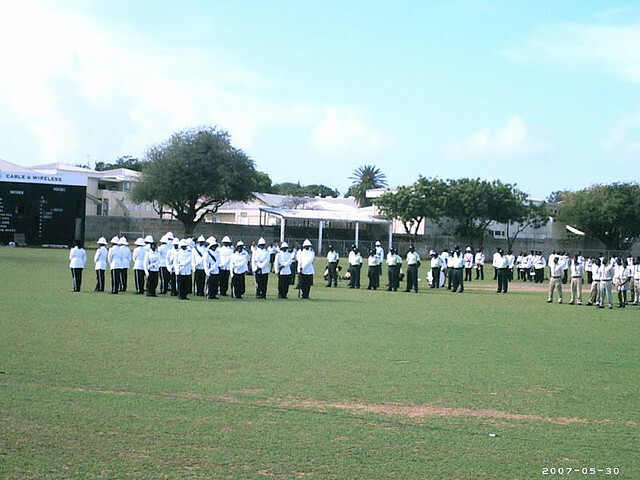 During the parade, recipients for the Anguilla Badge of Honour and Queen’s Certificate are recognized. The recipients are persons who participated in the revolution and/or contributed to Anguilla’s social development. At the parade, you will find persons wearing our national dress or other clothing in our national colours of blue, orange and white as they display civic pride and love of country. The Anguilla Day Boat Race is a must do if you are in Anguilla. This boat race goes completely around the island. You may choose to follow it on land or on boat. If you follow the boat race on land, rent a car or join some friends or family members in one vehicle. This adds to the fun. Ensure that you have food and drinks to last a few hours. You can start viewing the race at Sandy Ground. Be sure to be at Sandy Ground by 9:00am or 9:30am. Don’t be offended by the quarreling, the loud laughter and the competitive taunts among the various sailors, captains and spectators. This is all part of the fun of the competition. We take our boat racing seriously and everyone has a particular boat that they support and would like to see win. Watch the boats sail off then run and jump into your vehicle and basically follow the leader. You won’t get lost as there will be many persons following the race via vehicle. If you follow the race via vehicle, it is truly a great way to explore the island and find nooks and crannies you may not have known existed. Vantage points include Blowing Point, Rendezvous, Shoal Bay, Island Harbour and much more. If you follow the race by boat there are many options. You can go on a party boat or try to get on a private catamaran or sailing boat. On most boats, you can pay a fee and they will provide drinks and food. This is a great way to experience the race as well as there is something spectacular about being on the open waters, swimming in the warm ocean, feeling the cool breezes and watching the various boats vie for the best position on the open sea up close and personal. If you prefer to just relax on that day, you can stay at Sandy Ground or go to any beach or restaurant or villa or home with a view of the ocean and watch the boats pass by. The race ends at Sandy Ground so be sure that you are back in Sandy Ground to see the end of the race. It is a tiring and rewarding day. After the race, chill on the beach or in the water and enjoy some music and Barbeque. Read about my boatracing experience here. My Anguilla Experience would like to see you at the Anguilla Day Parade and the Anguilla Day Boat Race! If you like this post “Like” My Anguilla Experience on Facebook, subscribe to us on YouTube and follow us on Twitter @ShelleciaB.